At six, there is a great transformation in the child, like a new birth. The child wants to explore society and the world, to learn what is right and wrong, and to explore meaningful roles in society. The child of this age wants to know how everything came to be, the history of the universe, the world, humans and why they behave the way they do. He asks the BIG questions and wants answers. 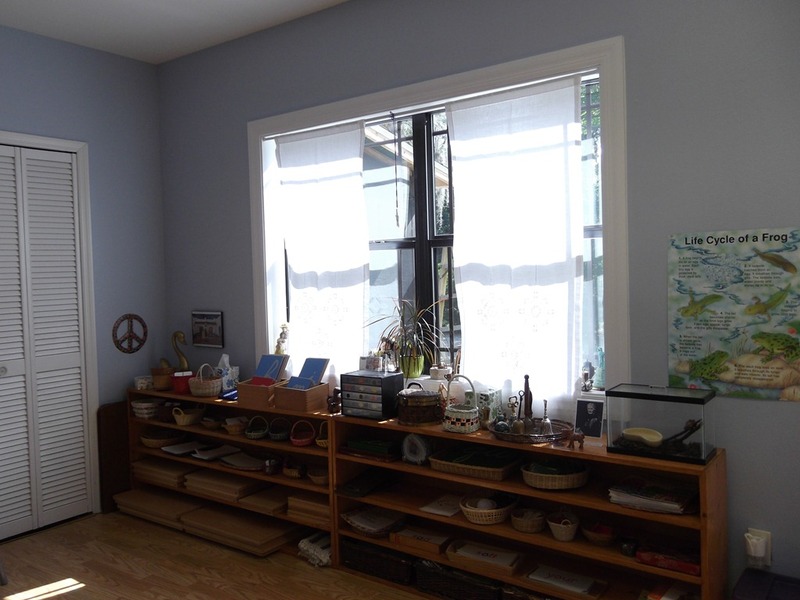 A fully trained Montessori elementary teacher has spent many months learning to give individual lessons in all academic areas, and to guide the child in direction and methods of their own research. Though planning groups form occasionally, with the teacher or among the children, the main work is still done by the individual. Just as in the 3-6 class, it is the protected period of concentration and focus, interrupted by scheduled required groups, that is the hallmark of Montessori education. This is what heals and fulfills the child, and reveals the true human who naturally exhibits the desire to help others and to make a difference in the world. Teachers who have taught full 6-12 age span see the definite benefit of this method, rather than breaking children up into groups of children closer in age. There are six years worth of wonderful possibilities to which each child is exposed, and this is vital because it is not just what the child does that results in learning, but what is casually taken in from the work around him. A 6-12 span helps the teacher avoid group lessons, and so helps the children reach a much higher level of independence. It necessitates children teaching children, a vital element in Montessori education. When group lessons are kept at a minimum, periods of concentration protected, and children exposed to the amazing amount of work in the 6-12 class, not only are the state curriculum requirements easily met, but children work at a level one would not have though possible. As I heard many times during my elementary teacher training The teacher is in charge of the minimum, the child the maximum. The state curriculum is hung on the wall for each child to see what she must accomplish at each grade level, 1st grade through 6th. The teacher meets with the individual student periodically, depending on the needs of the child, to plan how this should be done. One child will want to do the required work on Mondays, another for the first hour or so each morning. Together they make a list for the week, or the month, and the child is in charge. This teaches time management skills, and leaves the child free from interruption. If a child is having trouble getting down to work it might be suggested that for a short period of time, she keep a time journal, marking the clock time throughout a few days to see just how her time is spent. As soon as she discovers the problem and gets down to work, such a record ceases as it would be in impediment to the creative flow that is so evident in the Montessori elementary class. 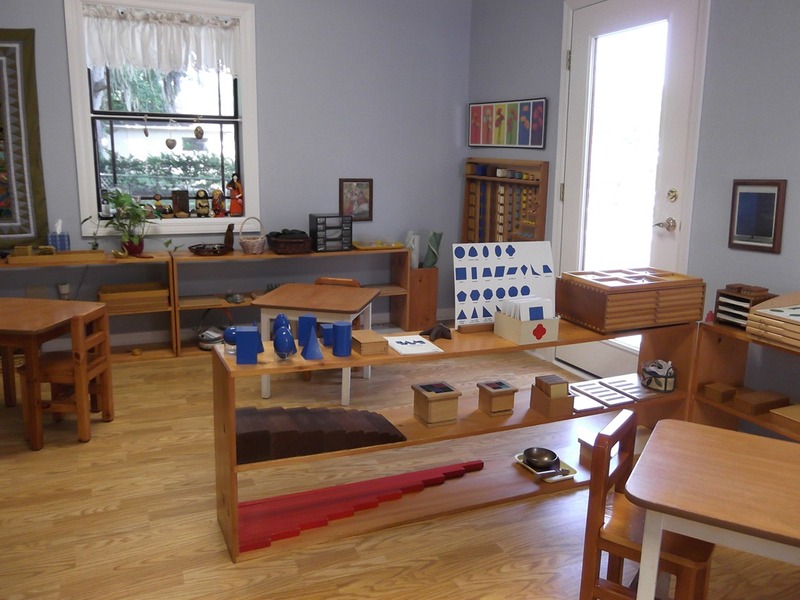 The Montessori curriculum is built around the five great lessons given at the beginning of each year: creation of earth, coming of plants and animals, the arrival of humans, language, math and invention. Each year the new students gather for these five group lessons. The older children come if they like, or hear them from afar, experiencing them differently each time dependent upon their own growth in understanding. 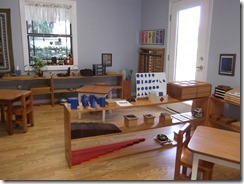 The teacher designs each lesson using stories, music, impressionistic charts, experiments, and games. The idea is always to inspire, not to require. The acts of courtesy which he has been taught with a view to his making contacts with others must now be brought to a new level. The question of aid to the weak, to the aged, to the sick, for example, now arises. If, up to the present, it was important not to bump someone in passing, it is now considered more important not to offend that person. While the younger child seeks comforts, the older child is now eager to encounter challenges. But these challenges must have an aim. What good is knowledge if not combined with consideration for others. Peace is not studied as in independent subject, but is part of the daily functioning of the classroom, and the natural outcome of a method of education where children experience long periods of individual concentration and contemplation and thus are able to process and recover from all the input of our modern world. They learn that peace is not just the absence of war, but the way we treat each other in our daily lives, the way we communicate, and the way we solve problems. Peace begins inside us, at home, at school.